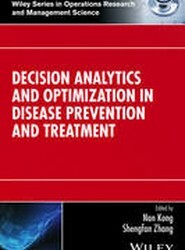 With a focus on cutting–edge approaches to the quickly growing field of healthcare, Healthcare Analytics: From Data to Knowledge to Healthcare Improvement provides an integrated and comprehensive treatment on recent research advancements in data–driven healthcare analytics in an effort to provide more personalized and efficient healthcare services. 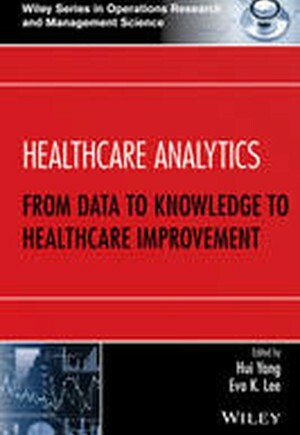 Emphasizing data and healthcare analytics from an operational management and statistical perspective, the book details how analytical methods and tools can be utilized to enhance care quality and operational efficiency. The book is an ideal reference for academics and practitioners in operations research, management science, applied mathematics, statistics, business, industrial and systems engineering, healthcare systems, and economics. Healthcare Analytics: From Data to Knowledge to Healthcare Improvement is also appropriate for graduate–level courses typically offered within operations research, industrial engineering, business, and public health departments. Hui Yang, PhD, is Associate Professor in the Harold and Inge Marcus Department of Industrial and Manufacturing Engineering at The Pennsylvania State University. His research interests include sensor–based modeling and analysis of complex systems for process monitoring/control; system diagnostics/prognostics; quality improvement; and performance optimization with special focus on nonlinear stochastic dynamics and the resulting chaotic, recurrence, self–organizing behaviors. Eva K. Lee, PhD, is Professor in the H. Milton Stewart School of Industrial and Systems Engineering at the Georgia Institute of Technology, Director of the Center for Operations Research in Medicine and HealthCare, and Distinguished Scholar in Health System, Health Systems Institute at both Emory University School of Medicine and Georgia Institute of Technology. Her research interests include health risk prediction; early disease prediction and diagnosis; optimal treatment strategies and drug delivery; healthcare outcome analysis and treatment prediction; public health and medical preparedness; large–scale healthcare/medical decision analysis and quality improvement; clinical translational science; and business intelligence and organization transformation.